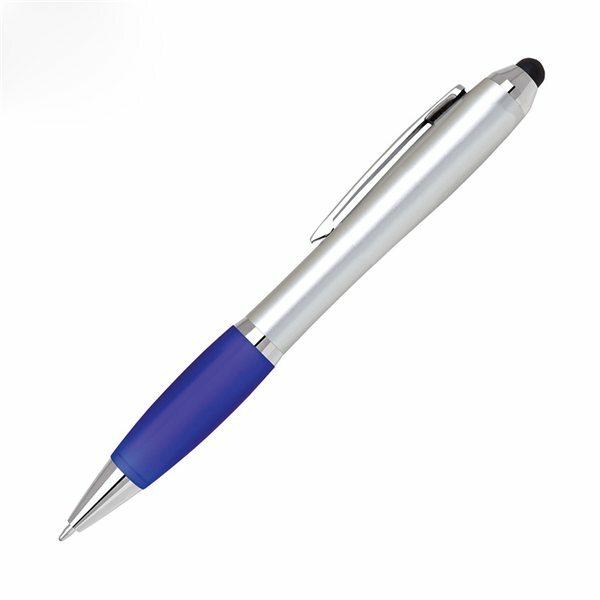 Twist-action plastic stylus ballpoint pen with colored grip, matte finish and polished chrome points. Compatible with capacitive touch screens. Super, exactly what I ordered. it was very affordable ,i compared with a lot of other vendors. I bordered the products for our company's yearly holiday gift to our employees. It was exactly what we needed when working in winter, especially those doing fieldwork. liked color, good size. the item was something we were proud to use as a promotional. I really like this artwork arrived on time and is great quality.